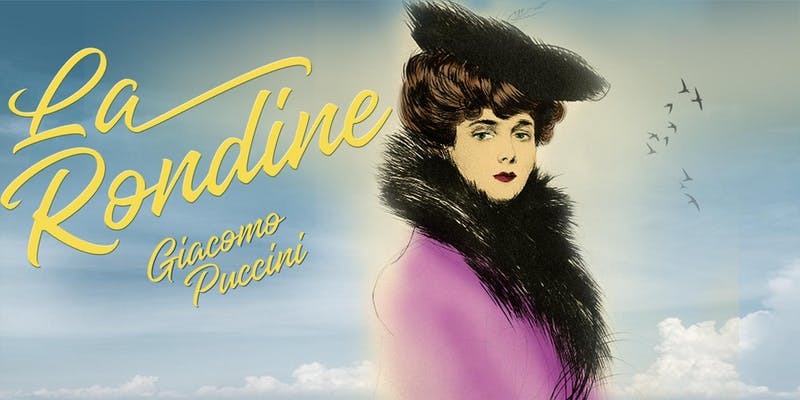 La Rondine has been described as "Puccini at his melodic best" in this romantic, bittersweet comedy. Enjoy this warm and lush score, breathtaking choruses, and beguiling evocation of Parisian life. Created by Giacomo Puccini in 1916, it tells the love story between a woman from high society and a naïve younger man of lesser means. The story twists and turns through the tumultuous times of true love.